Good luck talismans can be a powerful tool to attract happiness, creativity and internal resources required to achieve your goals – however, there are two main conditions when it comes to performing these rituals. Firstly, your intentions should be good, with no harm intended to anyone or anything – this is simply how good luck works. 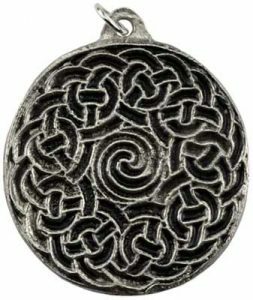 In addition, good luck talismans don’t tend to work unless the person using them is putting in the effort and hard work to reach their dreams. The latter makes many witches skeptical – however, this is just how this ancient magic works. Good luck isn’t something generated from thin air – it comes from a person’s skills, actions, experience and knowledge applied at the right time and place. Your talisman will help you find the right moment – but it can’t change the core of your character, so this is something for you to work on. With that in mind, today you will find out how to perform a powerful Good luck talisman spell! An object you want to transform into your lucky charm, such as a piece of jewelry. It can be anything so long as it’s made ethically (otherwise the negative energy will interfere with the ritual) and is small enough to be carried around discretely at all times. Then, it’s time to perform the Good Luck Talisman Spell! Your good luck talisman is now ready! Remember: the purpose of carrying it around should be kept secret from everyone, even your friends and loved ones. As an alternative to this spell, you can use our Get What You Want Spell Kit, which comes with ingredients and full instructions to cast a spell to help attract your desire, by aligning the universal energies in your favor and removing obstacles from your path.